HOOGEZAND The transport market in the Northern part of The Netherlands has not been a wealthy world in recent years. Nevertheless Gerrit Hes dares the challenge of taking over Reining Transport in Hoogezand. “When you have a close eye on your costs, you can make a living” says Hes. Gerrit Hes has a glorious past in the transport branch in the Northern part of The Netherlands. 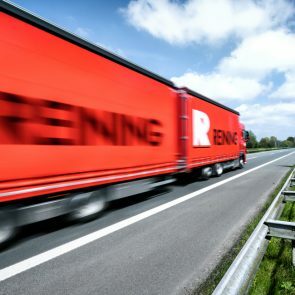 He was general manager at Reining before, was chairman of Transport & Logistiek Nederland, was director of Broersma, Lubbers and Koopman and returned to Reining one year ago. At that time, Reining was still within the Wagenborg Group and was having hard times. Two months ago he left Wagenborg; with Reining in his pocket. Gerrit Hes is very realistic about the company he just bought. “The transport branch in the Northern part of The Netherlands has eroded significantly in recent years. 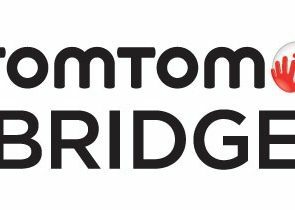 De Bruin, Jonker/ Vos, Broersma, Newexco, Lommerts, Huisman – all of them have disappeared. But every transport company has its unique points. 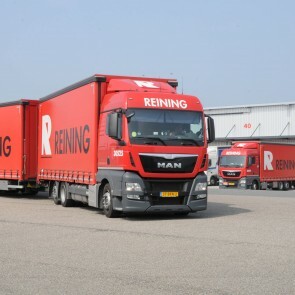 Reining operates internationally, where Huisman for example operates in the Dutch domestic market”. Hes: “We have made some clear choices in our international market. We have dropped Scandinavia and Spain. We will focus on Benelux, Germany, France, Italy, Hungary, and a little bit of England.” Choices were made on the equipment side as well. 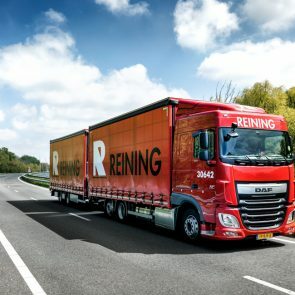 “The loading capacity gives us a distinctive advantage in our market”. 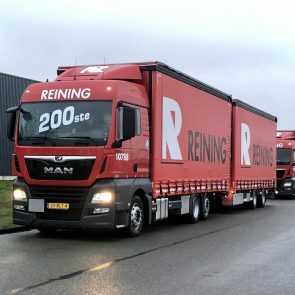 Hes presents – together with his right-hand man Johan Mak, also a shareholder and the son of founder Bé Reining – the new Reining truck equipped with curtain sides and new techniques. For example the roof can be lifted to enable higher loads to be loaded. And an aluminum floor, which has hygienic advantages in the food market. 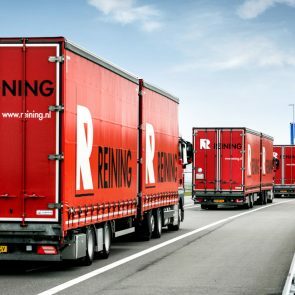 Mak, the technician at Reining: “The new truck is now at our office in Hoogezand, but we don’t want to see him back in the next 8 years. 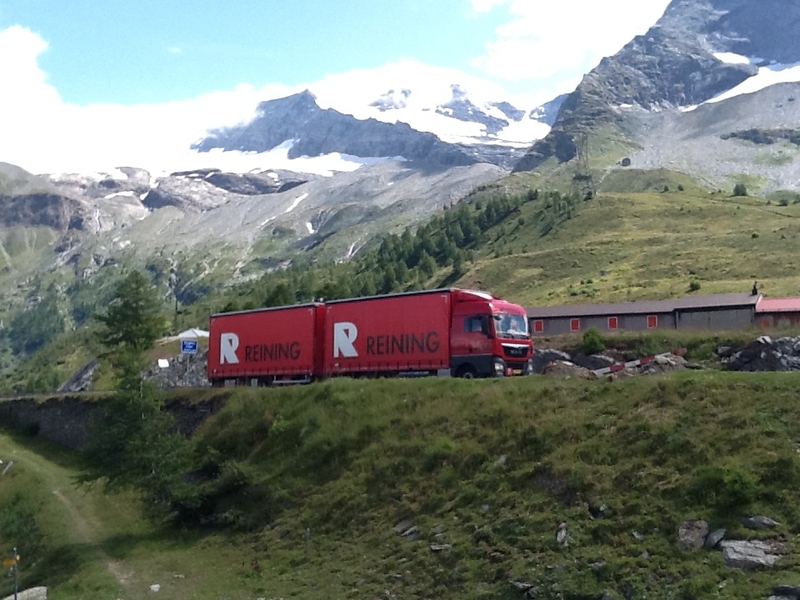 Most of the time, the trucks are in Germany and Hungary and they are operated out of Limburg. We have organized the maintenance over there, which saves empty kilometers. The head office is located in Hoogezand, where management and staff are located and where planning is being made. A lot of other activities, such as maintenance, is done elsewhere. Hungary plays an important role, because 400 out of 480 employees are employed over there. The trucks are operated by foreign drivers, mainly from Hungary and Romania. 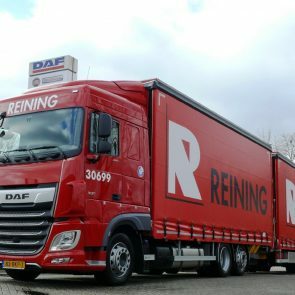 And that is a hot topic, knows Hes, because the labor unions think that these groups push the Dutch drivers out of the market. Hes looks back to the nineties, when the labor unions realized a ban on driving in the weekend. “That’s not a wishful situation. In fact, the Dutch driver barely crosses the country borders anymore. Some have a wife who works as well and need babysitting occasionally. 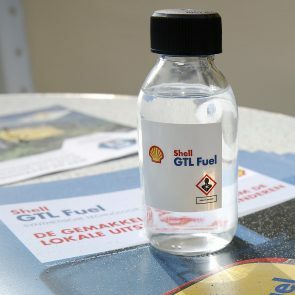 The times that a large number of Dutch people are truck driver, has come to an end”. Regulations and laws will be stricter on this topic. If a driver has a weekend rest of 24 hours, he has to make a rest of 45 hours in the next weekend. Hes indicates that in France a driver is even obliged to sleep in F1 hotels. If they don’t do that, the transport company will be get a fine of 30.000 euro. All in order to reduce the “road-nomads”; the Eastern European drivers that live like nomads along the highways. And also to protect these “road-nomads” against being exploited.